As we all know, times are changing. With this change comes some big issues. America, as a whole, is falling behind in the STEM (Science, Technology, Engineering and Math) fields. While I don’t pretend to have all the answers, what I do know is we need to get our kids interested at a younger age. 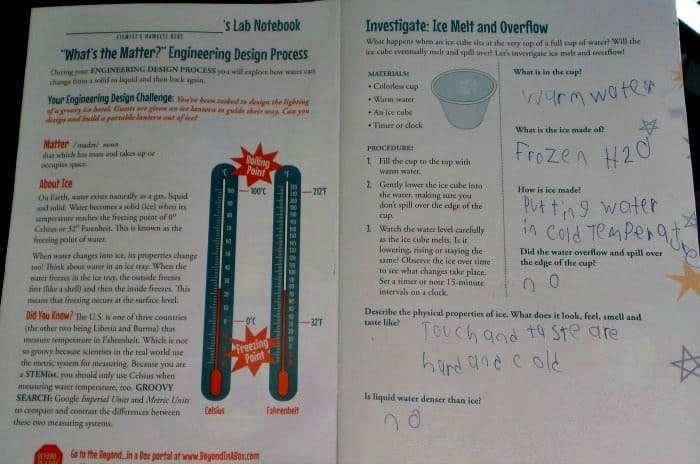 What better way than with fun experiments they can do at home?! 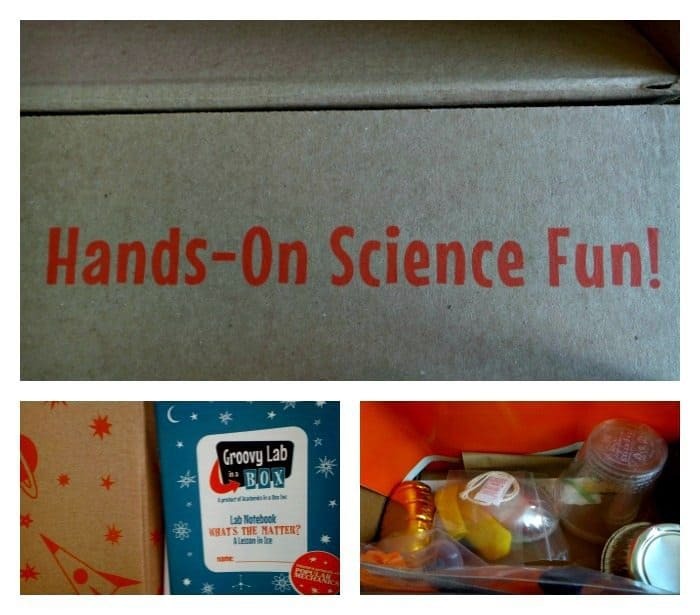 With the Groovy Lab in a Box, our kids can do easy science experiments that are fun! Not only are the experiments fun, they help them learn. Above all else, it gets them questioning and WANTING to learn more on why and how things work! 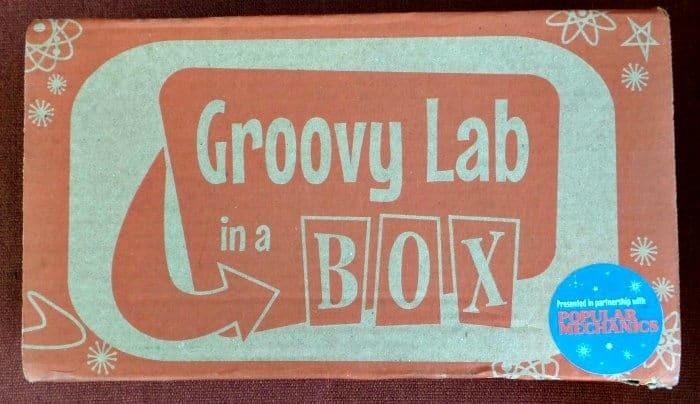 With today’s Groovy Lab in a Box review, we’re sharing the “What’s the Matter” Groovy Lab in a Box which is presented in partnership with Popular Mechanics. 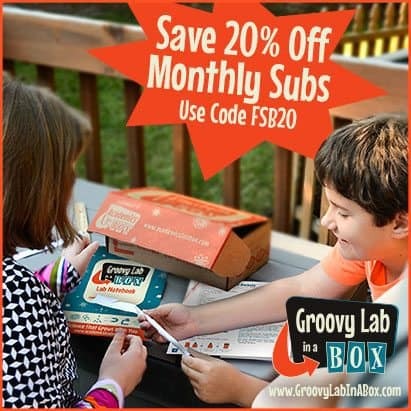 Groovy Lab in a Box is a monthly subscription box that is not only fun, but educational! It includes everything needed to complete the experiments inside. 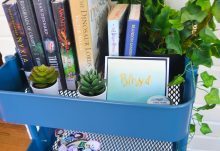 There is no chasing down odds and ends or coming up with strange household items! I can’t begin to tell you how many times, we have started projects in the past only to find we couldn’t complete them because we didn’t have what we needed.With Groovy Lab in a Box, EVERYTHING NEEDED is included! When we received our “What’s the Matter” Groovy Lab in a Box, the boys were sitting on ready! They were anxious to dig into the box and see what fun scientific experiments it contained! Jeffrey (age 11, above) and Adam dove in and began to check out the items. They were thrilled, and interested, to try the new experiments! They wasted no time in getting started on the first experiment. However, they took their time, working through all the steps. I actually don’t believe they truly understood they were learning valuable information. They only knew they were having fun. In the end, the result was the same – fun, learning, questioning, and wanting to know more! Once kids start asking questions, curiosity will get them asking even more, letting them learn while still having fun. The boys worked through the worksheet and thoughtfully wrote out the answers. Not only did the worksheet invoke thought process of the experiment they had done, it will help them retain what they learned. 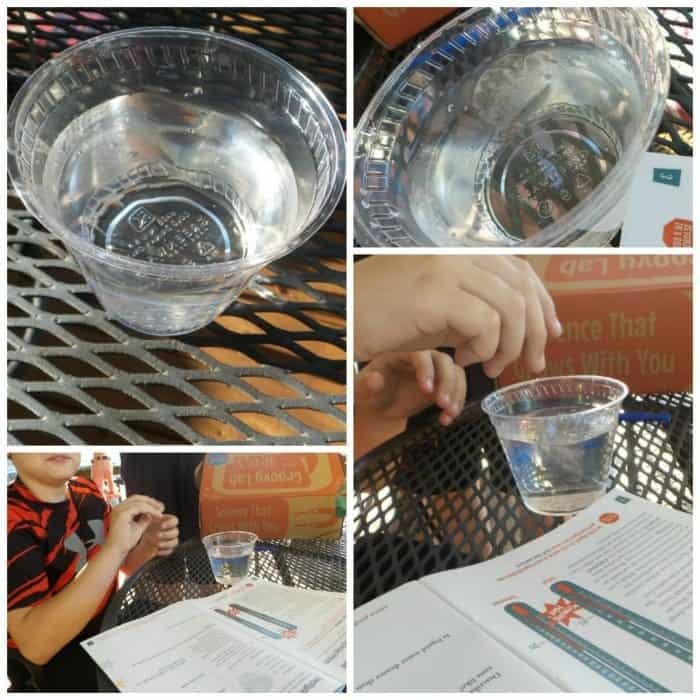 The lab in a box uses hands on experiments to help them learn. I guess it is a little like some of us adults. We learn more from doing than just by reading. I can definitely understand! How about you? Raise your hand if you are a hands on learner! We found the “What’s the Matter” Groovy Lab in a Box loads of fun! The boys are learning, questioning, and wanting to know more and they are anxious to try more of the experiments! Who knows? Perhaps we have a couple of little scientist on our hands! 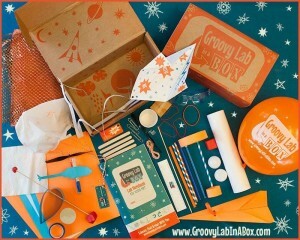 Groovy Lab in a Box is designed for children ages 8+. 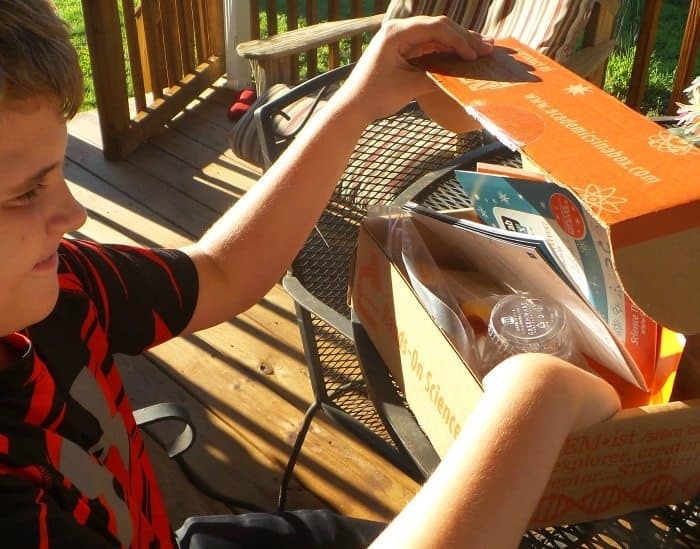 And, remember, EVERYTHING needed to do the hands on science, technology, engineering, and mathematics (STEM) experiments are included in the box! It is a great educational tool, as well as being fun! The “What’s the Matter” Groovy Lab in a Box is available as a single box purchase from the Groovy Lab in a Box shop. 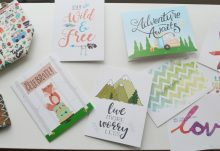 Groovy Lab in a Box offers different subscription plans such as: monthly, 3 months, 6 months, and 12 months. For more information and pricing, visit them online here. A Groovy Lab in a Box subscription would make an amazing gift, as well as an educational tool for your child, grandchild, nephew, niece, etc. 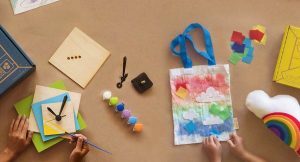 Why not give a gift that is fun AND educational? !